The Himalayas hidden beneath the clouds - as seen from the plane before landing at Leh ! I'm a big fan of clouds, clouds+sun photography. Something ethereal ! Yes, it is ethereal isn't it ! 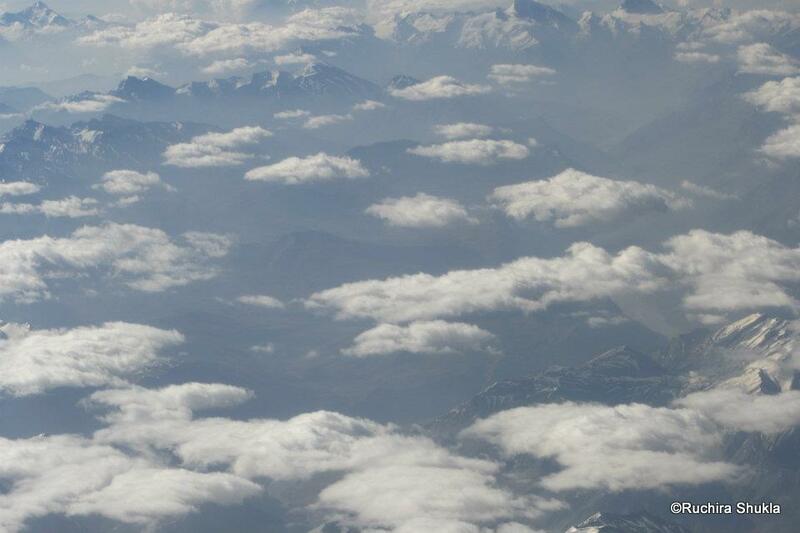 The sneak peek of the mountains covered with clouds from the aircraft is one fascinating view. Amazing captures! Yes it was really fascinating ! 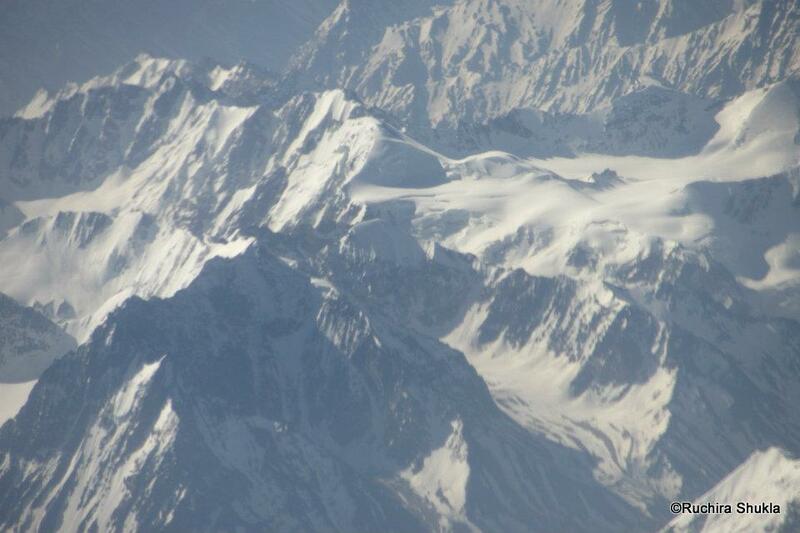 You did get some good pictures of the Himalayas. Lovely pics! Writing and photography and travel - well, you have all the skills for a travel writer. Thank you ! what a lovely thing to say ! Glad you fought for the window seat! What a view! It was worth the fight ! Beautiful pictures. 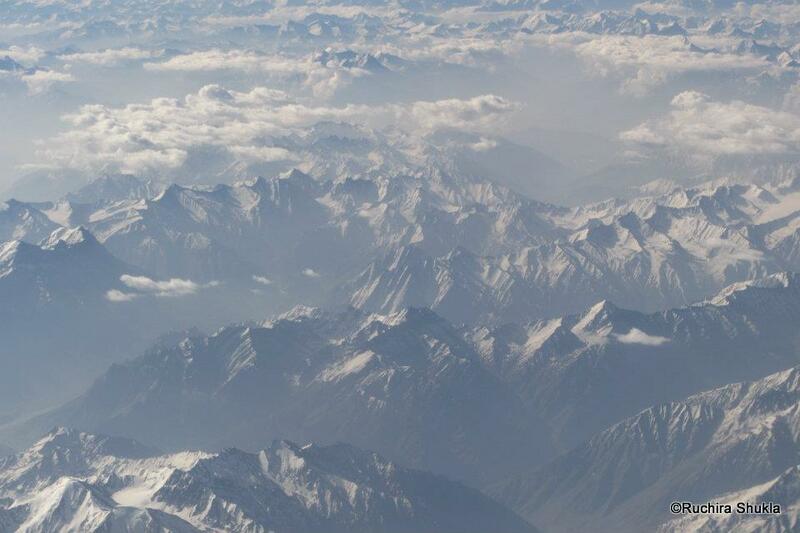 No wonder they say that the mountains enlarge the soul. Awesome, my dream to take a flight across the Himalayas. Hope you can do it one day ! When will Leh call me! Such a beautiful pic n Veiled view is the perfect description to go with it! Thanks ! I hope Leh calls you soon ! Yes, they are never boring ! It was worth the fight as you can see ! I meant I always love ! I just love the clouds, awesome ! Cloud and sky pictures always fascinate me - there couldn't have been enough of window seats for these! That must have been a breathtaking experience.